Coordinate multi-agency response during emergency events. Emergency response is complex, often involving multiple agencies and dynamic situations. Lightship empowers a coordinated response in this environment, bringing multiple actors into a common operating picture. Integrate communications and planning between different agencies; collect real-time data from the field; monitor responders in dangerous situations; and alert the public. Quickly assess damage to assets and critical infrastructure in the field, then use this information to determine priority and magnitude of response. 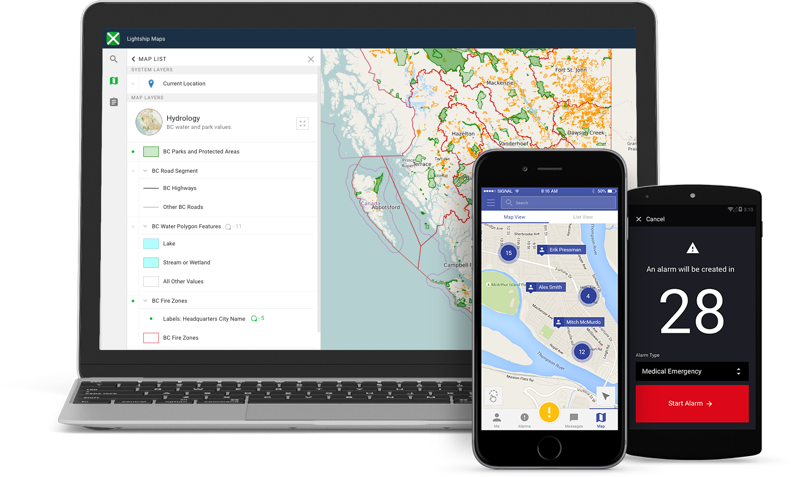 Easily share maps of real-time data with other responding agencies. Seamlessly integrate data from other Lightship customers, enterprise GIS systems, or other sources. Simplify communications by providing a common platform for messaging and data exchange. Monitor group discussions, broadcast important information, or send targeted communication with the touch of a button. Seamlessly share information between responders and the EOC. During a critical event, the ability to quickly collect and share data about the scale of the damage is critical when determining the magnitude of the response and how to allocate resources. Lightship allows you to create simple forms to collect information, including pictures, and share those forms securely from the EOC to responders or the public to get a clear picture of what’s happening on the ground. Deploy simple forms to classify damage, track evacuation progress, or identify potential staging areas. Data can be collected in areas with no connectivity, then uploaded at the EOC or when a network connection is available. View the real-time location of important assets, vehicles, aircraft, and personnel. Improve utilization and efficiency while also enhancing safety. Lightship was designed to incorporate information from most sensors and devices. Get notified immediately when critical events occur, then review that information in the context of infrastructure, related documentation, and real-time location of people and assets. Integrate sensors to monitor weather, critical infrastructure, or seismic events and tsunamis. 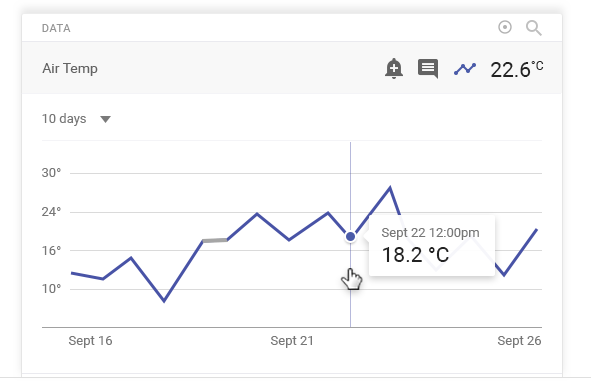 Define custom thresholds for alerts and alarms on each sensor and be notified automatically when a threshold is crossed. Build automated notification procedures with multiple escalation steps. Notify individuals based on their location and skills, or initiate mass notification for large or imminent threats.